What is holding your business back from achieving exceptional results? Explore seven obstacles that many business owners are completely unaware of and make positive changes in your company. Many businesses aren’t performing at their peak because of hidden obstacles. In our free eBook you’ll discover what these obstacles are and how to remove them. Simply fill in the form to receive a free copy of our ebook. As you become responsible for a greater number of people, your leadership style becomes more and more important. Our eBook looks at why. We learn a lot at school, and it isn’t all useful. Discover how school mentalities manifest themselves in the business world. We’ve all heard the fable of the tortoise and the hare. We take this one step further and explain exactly why going too fast can cause your business to crash. When did you learn to manage a business? Was it during a former job, while you were at university, or even earlier? 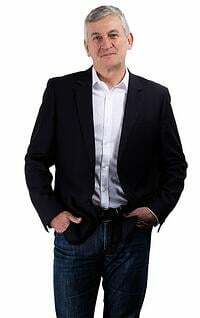 The truth is that our first experiences of how a company should function are learnt at school, and the mentalities we learnt then continue to impact how we manage and lead our teams today. 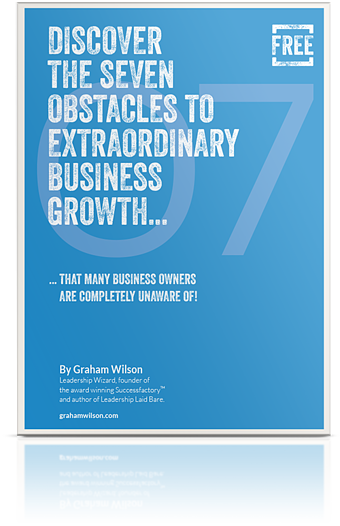 Our free guide, Discover the 7 Obstacles to Extraordinary Business Growth, discusses the barriers many business owners are completely unaware of, and how they affect your organisation. Download now to become a better leader today.